Suzuki has launched the Ertiga Suzuki Sport in Indonesia, with prices starting at IDR 241 million. The more stylish variant, as its name suggests, is a product from the company’s Suzuki Sport division, which had first showcased it in concept form at GIIAS 2018. The Suzuki Ertiga Suzuki Sport looks more stylish than the standard variant thanks to its unique grille design and body kit. The Suzuki Ertiga Suzuki Sport, weird as it sounds, is quite a looker. At 4,470 mm in length, it is 75 mm longer in length than the standard variant. It sports a unique front grille, front under spoilers, side under spoilers, rear upper spoiler and a rear under spoiler. LED DRL on the corners of the front bumper gives the Suzuki Ertiga Sport a more striking presence. At the rear, there’s a Suzuki Sport badge in blue and red. The 15-inch dual-tone polished alloy wheels are from the standard variant. Three colour choices are available: Metallic Magma Grey, Pearl Snow White and Cool Black. None of the shades is exclusive. Inside, the Suzuki Ertiga Suzuki Sport is differentiated with a completely black dashboard and upholstery. There are no differences in terms of equipment other than the LED DRLs on the front bumper. 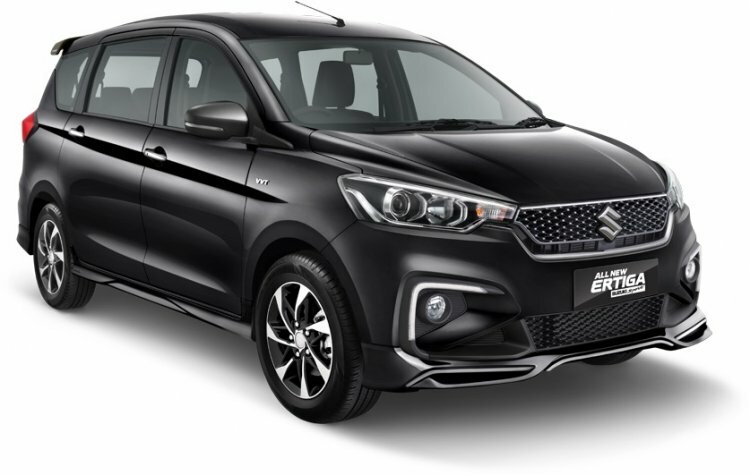 However, the Suzuki Sport variant is safer because of the inclusion of Electronic Stability Program (ESP), which is no longer available in the standard variant. Under the hood, the Suzuki Ertiga Suzuki Sport has the same K15B 1.5-litre VVT naturally aspirated petrol engine producing 104.7 PS at 6,000 rpm and 138 Nm of torque at 4,400 rpm. 5-speed manual and 4-speed automatic are the transmission choices. The Suzuki Ertiga Suzuki Sport has no mechanical changes. 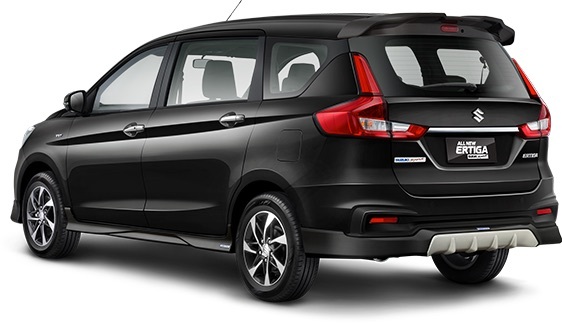 The Suzuki Ertiga Suzuki Sport retails at IDR 241 million (INR 11,72,825.27) when equipped with the 5-speed manual transmission and at IDR 251.5 million (INR 12,24,242.82) when opted with the 4-speed automatic transmission.